55,000. Not only is this large number almost equivalent to the population of Boone County in Indiana, but it is the number of students in Indiana that are missing a significant amount of their school year due to absences. Now, take a moment to let this sink in. As Indianapolis students prepare for the 2015-2016 school year to begin, it is important to reflect on the importance of showing up for school, and why missing school matters. There are certain burdens and barriers that make it hard for some individuals to attend school. Students may have extensive family responsibilities, like taking care of siblings or ill parents. They may be in a situation where their housing situation is unstable, or they feel school is unsafe due to bullying or harassment. Or, parents of students may just have never shown them the value of being at school so they feel disengaged and disinterested in the course material. Then of course, there are more critical circumstances, such as teen pregnancy, homelessness, or bullying. Pregnant students or new parents may have to miss school due to doctor’s appointments or simply taking care of the new addition to their family .When a person is moving place to place and not knowing where they will be staying after school or where they are going to get their next meal, it can be hard to show up for school. A student is deemed to be chronically absent when they miss at least 10 percent of the normal 180-day school year. That is 18 days a year or two days a month. This also does not factor in those students who spend their school days in out-of-school suspension or those who have been expelled. Whether the absences are excused or unexcused, whether the student is cutting classes or on a vacation with family, chronic absence negatively affects the student’s academic performance in significant and lasting ways (The Indiana Partnerships Center). The Indiana Partnerships Center states that students who miss two days a month can significantly fall behind in their school work. Chronically absent middle and high school students are more likely to drop out of high school. Dropping out of high school leads to high rates of being unemployed or low income levels as well as other issues like incarceration, substance abuse problems, or teen pregnancy. Children who are chronically absent fromkindergarten experience problems throughout elementary school. By third grade, children who have been frequently absent score lower on standardized tests, such as ISTEP+, than their peers. Poor performance on tests continues in middle school for students who miss a lot of school. 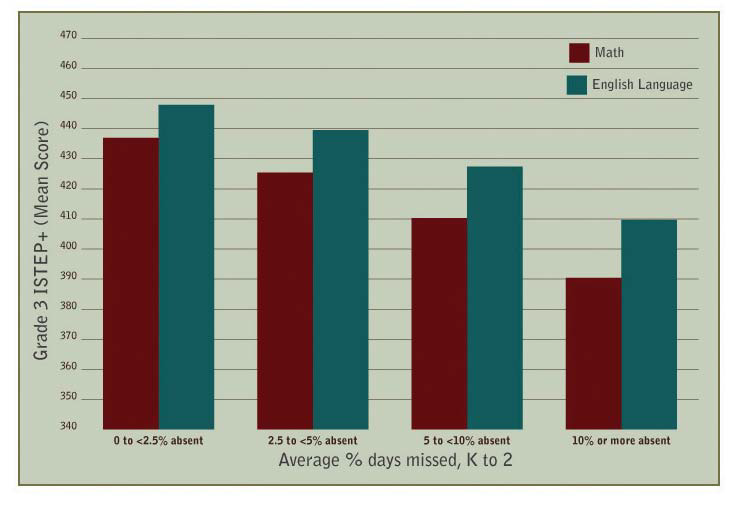 By sixth grade, students who are chronically absent are much more likely to drop out of school. Schools are more able to identify the ninth graders who are likely to drop out by looking at their attendance than their eighth-grade test scores. 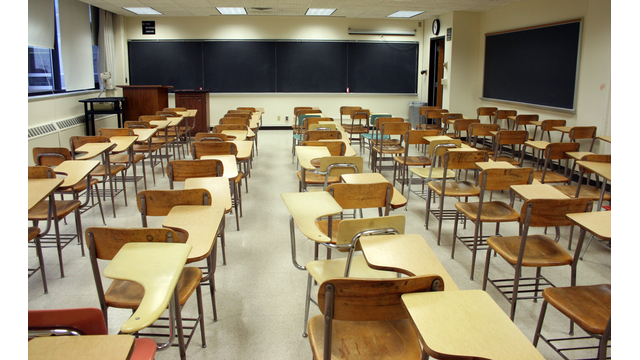 Only a quarter of chronically absent high school students in Indiana were graduated. So the question for you is—where do we go from here? Schools, parents, the community, and YOU all have a part to play in making students realize that school matters. Set routines for bedtime and morning. Recognizing your student’s progress. Awarding students for making progress is much better than awarding students for being perfect, especially since sometimes it is out of their control. Build strong relationships with parents of your students. You should feel comfortable with emailing them or calling them when their student is not showing up to class. If your student was skipping school when you thought they were present, wouldn’t you want to know? According to parents, the top reasons students missed school in 2011 were: sickness, doctor’s appointments, oversleeping, uniform problems, transportation problems, miscommunication between schools and parents, suspension (particularly from the school bus), ditching school, religious reasons, domestic violence, juvenile court, teacher apathy, confusion about school boundaries, confusion about school policies, bullying and family commitments (The Indiana Partnerships Center). With all of these reasons to miss, what are schools around the Indianapolis area doing to encourage attendance? Some host “Bring Your Parent to School” days or they host students who have perfect or improved attendance and their parents for a banquet. Parents of other high schools were trained to use computers to monitor their student’s attendance and grades. When it comes down to it, we all have a part to play in ending the dropout crisis and making sure students aren’t missing school. We need to show children at a young age that school attendance matters, before they become a statistic. Don’t let your child become one of the 55,000 Indiana students.